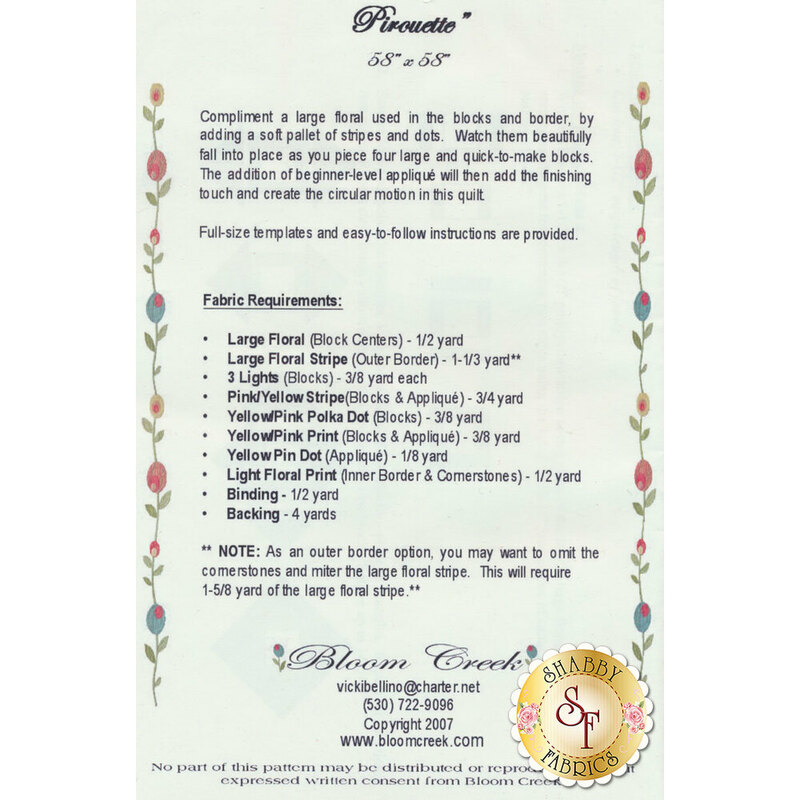 Pirouette, 58" x 58", was created by Vicki Bellino of Bloom Creek. Here is what she has to say about her design. "Compliment a large floral used in the blocks and border by adding a soft pallete of stripes and dots. Watch them beautifully fall into place as you piece four large and quick-to-make blocks. The addition of beginner-level applique will then add the finishing touch and create the circular motion in this quilt."